At this year's SPS IPC Drives trade fair in Nuremberg the focus of SICK presentation will be the safety technology of the future and solutions for vision and identification tasks. 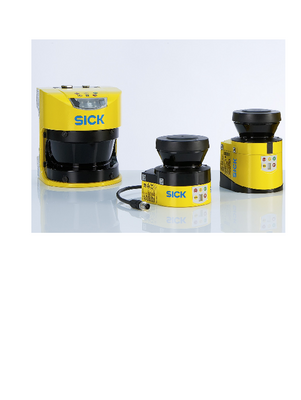 SICK will be using this event to gather information about current trends and as an opportunity to present its products and technical innovations. On the subject of "Industrial Security Systems", SICK will be presenting the safety technology of the future. In the future, SICK safety sensors will be even more closely connected to one another. The challenges of the future include a rapid commissioning for significantly faster system effectivity and continuous production for increased system efficiency. In the future, SICK's smart sensors in the context of Industry 4.0 will not only be used to ensure the safety of people, but also the implementation of ever-increasing production specifications. More than a vision SICK will also be using the trade fair as an opportunity to show itself as a pioneer for vision and identification applications and will be presenting its wide range of solutions. These solutions are already optimized for the requirements of Industry 4.0: They visualize process data and use it to create continuous process optimization employing global data transparency, which facilitates industry-wide networked communication.